Remember my fun DownEast Basics Giveaway from a few weeks ago? Well guess what? My friends at DownEast Basics are giving one lucky Frugal & Fabulous reader another chance to win! For those of you who aren't familiar with them, DownEast Basics is a great source for affordable and fashionable clothing. 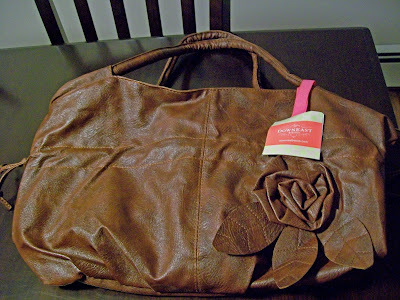 I was recently given the opportunity to review their new Marina bag from their bag boutique and I love it! It's so 'boho chic!' Though I'm typically a black handbag girl - I thought this little number would be the perfect way to lighten up for spring/summer! And it definitely is! I love this bag because its classic, but has a bit of a funky edge with the rosette and side pull details. The bag itself is fully lined (with zippered pockets!) and is big enough for me to cart my life to and from the store, the office, or out on the town! I'm a major DownEast Basics fan because I love that they combine fashion with style and sophistication. They focus on keeping their clothing beautiful, comfortable and affordable! And it's made to last! Because really, in my clothing and accessories, I don't just want a deal - I want something that will last longer than a season! I also love that their is timeless and can be both fresh and "grown up"! The best part? Many of DownEast's items are under $20 ea! Awesome! *Tell me your favorite item from Down East Basics! You have until Tuesday, April 27 @ 7pm EST to enter! (Winner must respond within 48 hours.) Giveaway open to U.S. residents only. I like the Boutique Bag. I love love love the fresh flowers maxi dress! SOOO cute!! I like the union station top! I'm loving the Reunited Wrap Top. i LOVE the whole swim line, but also the razzleberry skirt. i'm in love with the falling star skirt! I'm a DownEast FB Fan! My favorite item is the Matchmaker top! FB fan of Frugal & Fabulous. FB fan of Downeast Basics. I love the Falling Stars Skirt. I like the marina bag!!! I just love the Outside The Box top, so adorable! I love the Awesome Blossom Dress. Perfect for Spring!! I entered the breyers yocrunch giveaway! I entered the fresh express giveaway! I think my fave is the fab flower hobo... I'm a purse kinda girl, and i'm pretty sure I don't have one like that. lol! Oooh! double bonus : Facebook fan! I love the Tuxedo Top. I love the spring a ding skirt! I love the Summer Storm Dress. I love the Not A Cloud In The Sky Dress! Gorgeous! I'm a fan of Down East Basics on Facebook! I'm a facebook fan of Frugal & Fabulous! I love the Spring Scarf Cardigan. I like all the cute jewlery they've come out with latey. Such a tough decision! I just love the First in Line Top. 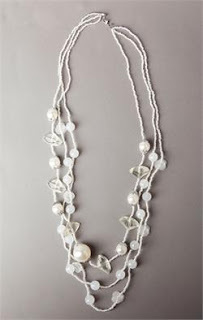 I am a Facebook fan of DownEast Basics (Aimee Waerhouse). The Not A Cloud In The Sky Dress is lovely; I love that Marina bag, too! I entered the fresh express giveaway, thanks! I love the Sunset Swim Dress. Razzleberry Skirt is my favorite..
My favorite is the Summer Storm Dress. I like the falling star skirt. I love the rockstar jeans and the new swimwear. I like the Rad & Red Hobo bag. I entered the fantasy jewelry giveaway! I love the Tall & Trim Trouser Jeans!! I like the Awesome Blossom Dress. I really like the Razzleberry skirt.... I hope I'm lucky!! I LOVE the Safari Satchel!! LOVE LOVE LOVE DownEast Basics...they used to have a kiosk in the mall here...but it closed. I almost cried! My favorite is the Tutu Cute Bag. Thanks. I like their Perfectly Pretty Skirt. My fave is the Razzleberry skirt. So cute! Thanks for the chance to win!!! I love the Lots of Dots skirt! The Cat Walk Jeans look fab! I'm a facebook fan of Frugal & Fab! I entered your Fantasy Jewelry Box Giveaway also. I love the May Flowers Dress. and everything else!! I follow you on twitter and I retweeted. I have your cute button on my blog. I love the Kaleidoscope Top! entered Fantasy Jewelry Box - Your Choice of Item! ends 4/30! favorite item: He loves me dress!! I like the Sun Dial Dress or Sand Skirt! Thanks for the chance to win! I'm a Facebook Fan of DownEast Basic! I love the Suncatcher Top! I am a DownEast Basics Facebook fan (Lauren Wayne). I love the Not a Cloud in the Sky dress. I just got their catalog and there are so many cute things! I like the First in Line Top in pastel turquoise. I would love to win the lots of dots skirt, so cute! I love the crochet cardigan.